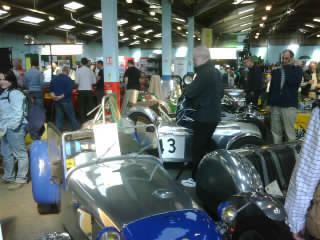 Update from the Lotus Show at the Malverns! The drive was a little longer than usual, but the ash cloud from Iceland kept the roads (and airports) fairly clear for a good run through. - New venue is very good – thanks to Alan at Club Lotus for choosing a good venue over the sadly unavailable Donington. 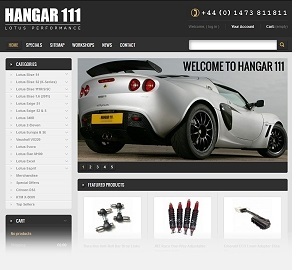 - New Elise looks great – image attached. - Our stand also looking good (well in our opinion!). 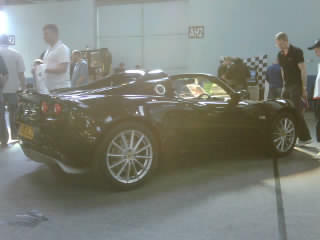 - Lovely Type 72 edition Exige from Williams of Bristol. - After some late tweaks, our exhaust display stands can finally accomodate our new signature series exhaust systems. 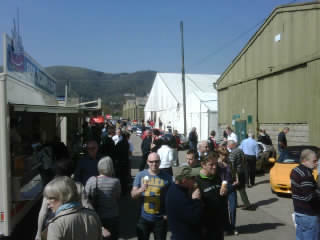 The sun is out and the car parks are packed. Far busier than any previous Donington event Saturday. And finally – it is so nice to see this event so well subscribed to by all the enthusiastic folks (traders and public). The international attendance is also heart warming. We will always support the event for the simple reason that it’s the only place you will find a truly complete Lotus experience – Classic, Modern, Road, Race and vintage – It’s all here. Bring your kids, friends and family and show them the entertaining history of the Lotus marque. Posted from my Blackberry - WordPress on the move! 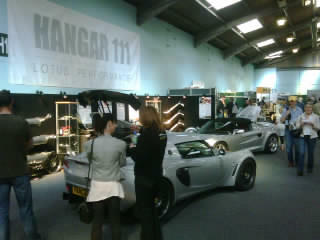 «« Hangar 111 Wins Best Trade Stand!